Dorothy Jean Deseve Woodby of Deary, died Thursday August 23, 2018 at Gritman Medical Center in Moscow. She was 89. Dorothy was born in Pulaski, WI in the Township of Lessor, Wisconsin on October 21, 1928 to William and Agnes Fraser. Dorothy taught grade school in Wisconsin before moving to Deary, Idaho in 1952. 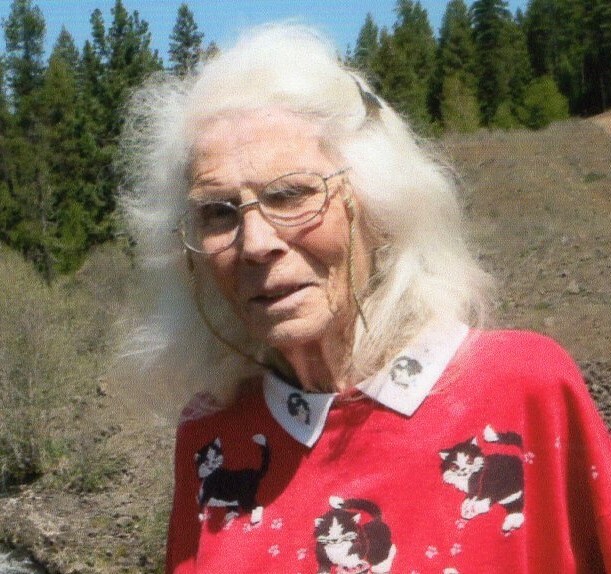 She continued to teach school in Idaho teaching at Elk River and Fernwood school districts for several years, and on January 10, 1990 Dorothy married Willard “Woody” Woodby. Dorothy loved to crochet, sewing and quilting. She also enjoyed going for drives and stopping in to have a diet Pepsi at Fuzzy's. Dorothy was preceded in death by her husband in 2005, brothers Gordon, Lawrence and Earl and stepson Tommy ‘Julio” Woodby. Dorothy will be missed by all who knew her. She is survived by her cousin Agnes Christensen of Polaski, WI, and her loving caretakers Katie Scholwin, LaDonna Balsiger, Bobbi Coup, Thwy Knerr, Sherry Holmes, Dalissa Eggers, Angie Poter, Angelica Diaz, Joni Littlefield the staff of Good Samaritan and all the staff at Gritman Medical Center. A graveside service will be held at 10:30 a.m., Friday August 31, 2018 at Wild Rose Cemetery., followed by a covered dish dinner at the Deary Community Bible Church.